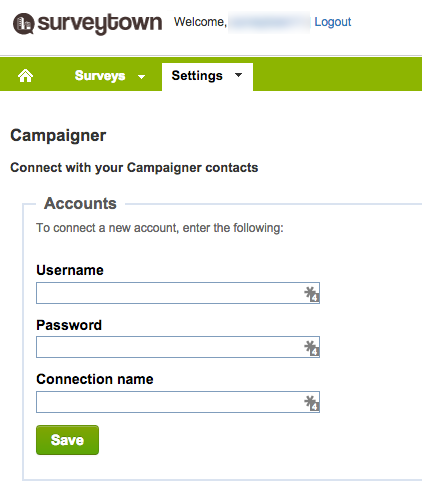 You can setup SurveyTown to connect to Campaigner account. Once you do this, you will have the ability to add "List Subscription" and "External Field" questions to a survey. "List Subscription" questions allow you to offer your customers the option to subscribe to you Campaigner lists within a survey and "External Field" question types allow you take survey answers and have them automatically imported into Campaigner custom fields. 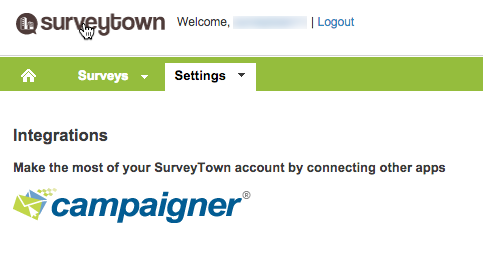 Here's how you connect your SurveyTown account to Campaigner. Fill in the username and password of your API user and then give this connection a name. The name of the connection can be anything you want. 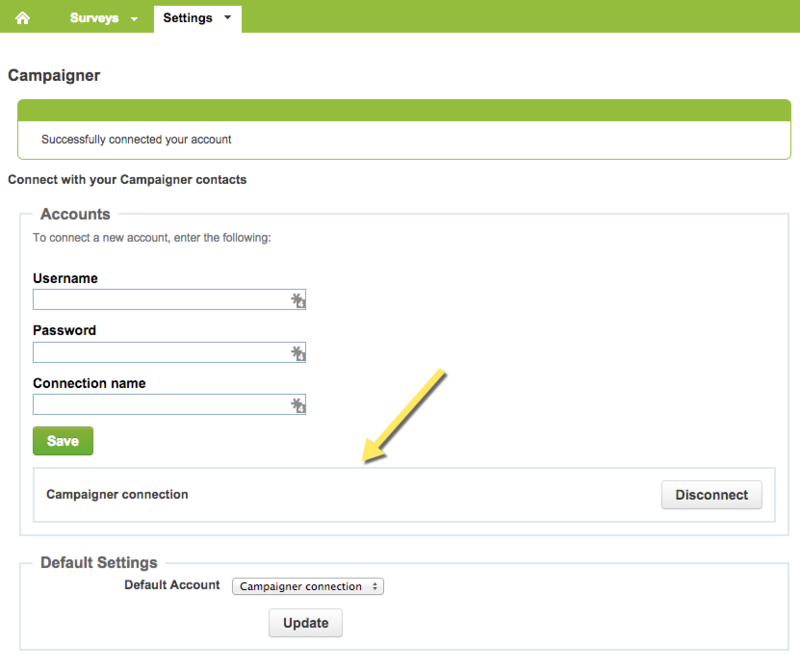 Once successfully connected your Campaigner account will appear in the box below and is now ready to link to a "List Subscription" or "External Field" question type.